With the upcoming release of "Batman v Superman," I have been thinking a lot about who is the better superhero. I know, it's like comparing apples to oranges; they are both great, but ultimately only one can prevail as the superior. In this case, Batman is the standout and for many reasons. Unlike Superman, Batman has awesome gadgets. I grew up watching the Batman movies and one thing I always looked forward to was seeing the gadgets he was going to use against his enemies. His black leather suit was armed with a utility belt that held several of them. The batarang was one weapon that changed throughout the franchise. 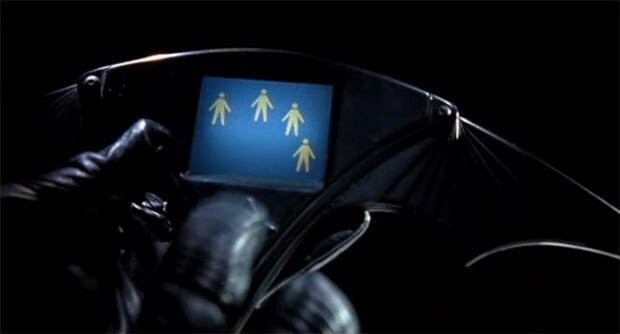 The computerized batarang was first shown-in the movies, at least, in "Batman Returns" and there has been several different versions in the other films. But, by far one of the coolest is the line launcher which allows him to get to other places. A villain is getting away? Well, they won't get too far when Batman uses his line launcher to get to them. Another way for Batman to get around is with one of his many vehicles. The Batmobile, Batplane and Batcycle get him around on the ground and in the air. Yes, Superman can fly, but who wouldn't want to ride in the Batmobile? Wayne Manor might seem like a normal billionaire's mansion, but housed underneath is the coolest space ever, the Batcave. This place holds everything that Batman uses. His various suits, his vehicles and the weapons that he uses are all held in this area. This is the ultimate superhero lair. But most of all, Batman is better than Superman because he is more relatable. Sure, not all of us are billionaire playboys who fight crime in their spare time, but we are all human. Superman is an alien from another world. Batman had to overcome the murder of his parents and work towards his skills to relentlessly pursue justice. Even though by being human he has weaknesses that Superman doesn't have, his tenacity and the fact that he never gives up, despite those weaknesses, makes him the prevailing superhero.